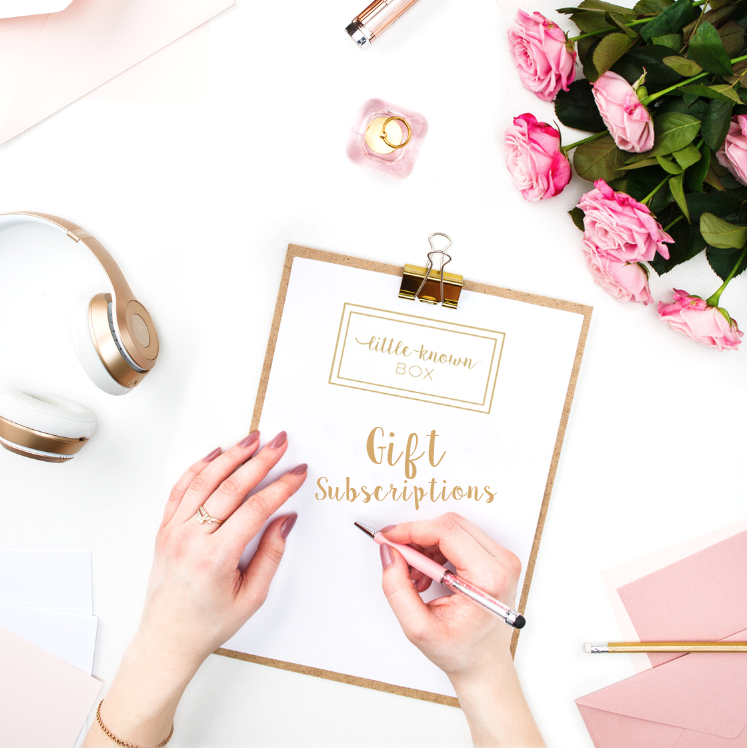 When you sign up for a Little-Known Box subscription, you'll receive a monthly box of carefully selected beauty products and accessories. Each box includes 5-6 cruelty-free full size or travel size products and we often include bonus items for you to try. We are passionate about featuring 'little-known' products, from independent and emerging brands. Chosen with ethics and wellness in mind - many of the brands we partner with are vegetarian or vegan friendly, free-from, natural and/or organic. When available, our 100% Vegan Editions are listed on our SHOP page. Monthly subscription box, monthly payment. UK Shipping is £3.75 Cancel anytime. Little-Known Box makes a perfect gift! Pay monthly, 3 or 6 month plan. Choose if the subscription renews. Our boxes include a mixture of beauty products, such as; makeup, skincare, bath and shower products, nail and hand care, body products, tools & beauty accessories. All from ethical 'little-known' brands.